Have you written off Facebook or Instagram ads as “just not for you”? I want to encourage you to take a look at ads with fresh eyes this month as we explore how many different types of Mamapreneurs are using them to build their businesses. You’ll hear from Etsy sellers, designers and membership site owners, bloggers and eBook writers, and course creators. 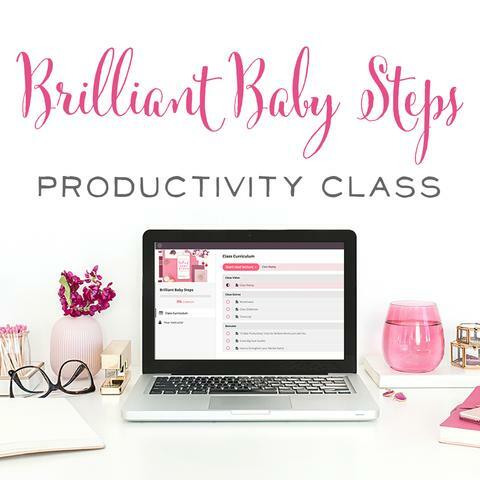 All of them are scrappy Mamapreneurs working with tight budgets – just like you! And all of them are finding success with Facebook and Instagram ads. 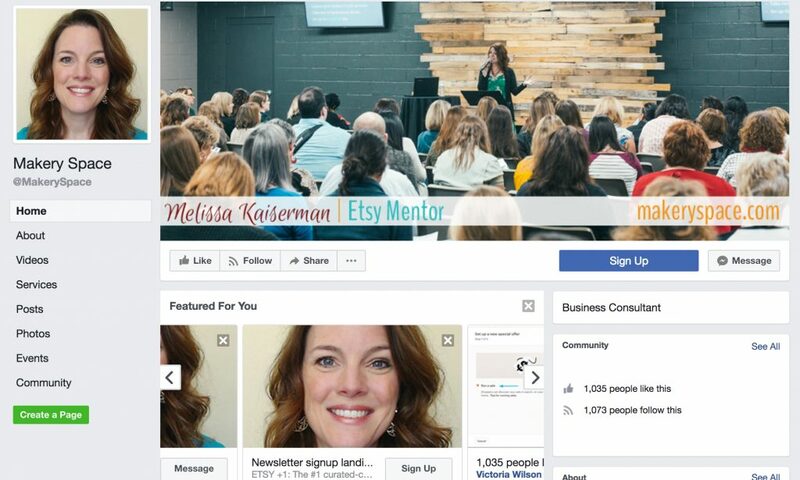 On this episode, we’ll hear from Melissa Kaiserman, who’s using Facebook and Instagram ads to bring in more sales for her Handmade Cash Envelope Organizers. 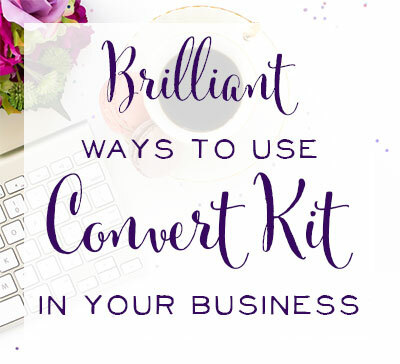 Melissa sells an affordably-priced product, and she’s able to bring in brand new people to her shop and make profitable sales. Press play on the podcast player below to learn how you can make sales using ads too! If you've been around Brilliant Business Moms for long, you probably know Melissa Kaiserman. She’s basically an honorary team member of Brilliant Business Moms and an active member of our Facebook group — always ready to answer questions and help people out. Melissa is the Etsy shop owner of A Time for Everything, where she sells amazing cash wallet systems for adults and kids. She’s also the founder of Makery Space, an online business providing practical help for Etsy Sellers. Follow her on Facebook to watch her wonderful weekly show, Etsy + 1. She’s a total pro when it comes to selling on Etsy successfully. Since most of you know Melissa already, let’s dive right in. Melissa enrolled in FB Brilliance but had a slow start to actually running her own ads. Her fear of getting something wrong, and hesitancy to do the work knowing it would require tweaking, stopped her for several months. But in the summer of 2016, she decided to dive in. The very first campaign she ran, she targeted interests that she thought would be a good match for her product. She knew people who followed organizational blogs would be her ideal target market. Interestingly, not as many budget-conscious folks who follow Dave Ramsey or frugal blogs buy her products, since they’re not big spenders. Melissa’s campaign targeting organizational groups did okay, giving her a cost per click in the $0.20 range. Then she decided to do a lookalike audience of her email list. 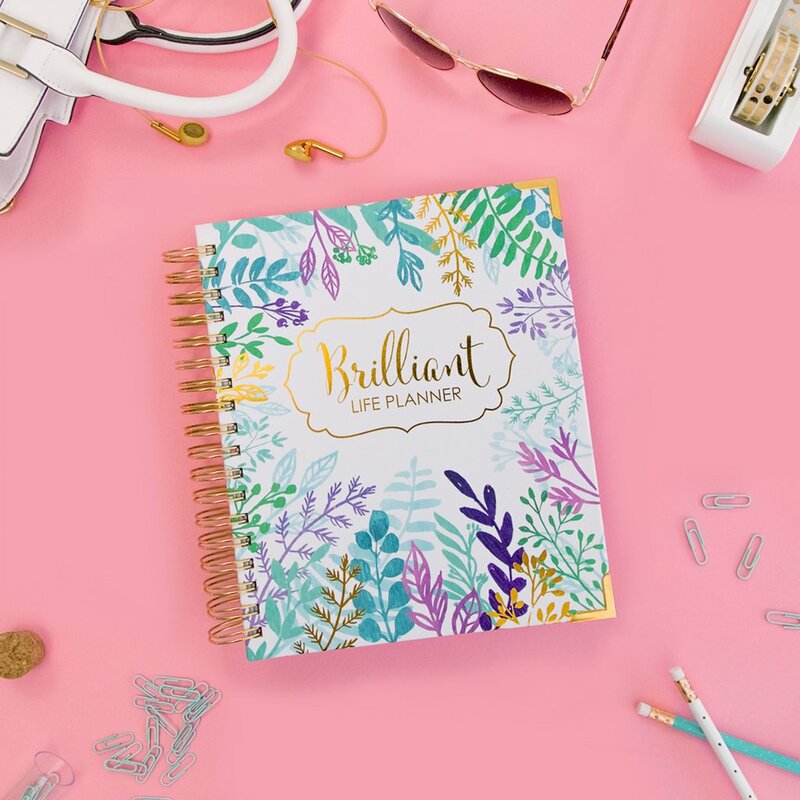 She had been building her list for a while with content centered around living on a budget and, naturally, her blog matched her shop well. Once she targeted a lookalike audience, Melissa’s cost per click went down to $0.08! “This is a lot smarter way to target my ad set!” she thought, rather than focusing on a general interest. Finding that perfect combination is all part of the learning process. And thanks to Melissa’s commitment to test and not give up, one of her biggest wins was right ahead. She decided to do a Christmas campaign and then she decided she would use her customers as a lookalike audience. She downloaded her orders from Etsy and uploaded the customers to Facebook and Facebook was then able to create a lookalike audience. This audience was even more targeted than an email list since it was created to resemble actual purchasers. Her cost per click in that campaign was around $0.04! And to cold traffic! You guys, that’s crazy! Let’s stop for a moment and define what a lookalike audience is, for those who may not know. To build a lookalike audience, you give Facebook a piece of data, for example, Melissa’s customer list, and what Facebook does is take the people you have and go find you about a million other people on Facebook who are really similar to that initial bunch. Then, Facebook shows your ad to those similar people. You can see why lookalike audiences are so powerful! 4:50 – Womp, Womp. A Few Bummers! Another slight bummer, Melissa noticed her cost per click did go back up after the first of the year. It was hard to get back to that $0.04 to $0.08 cost per click range. Her current campaign averages $0.09 per click. Also using lookalike audiences, Melissa ran another set in the Spring that received about $0.12 a click. But still, Melissa is happy with the performance of her lookalike audiences! Facebook knows what it’s doing! Let’s dive in and look at some of the successful ads Melissa ran to drive traffic to her site at an amazing rate. For those listening, we’ll describe the ad below. Body: Does living on a cash budget have you rummaging in your purse at the register for the right, beat-up, paper envelope? 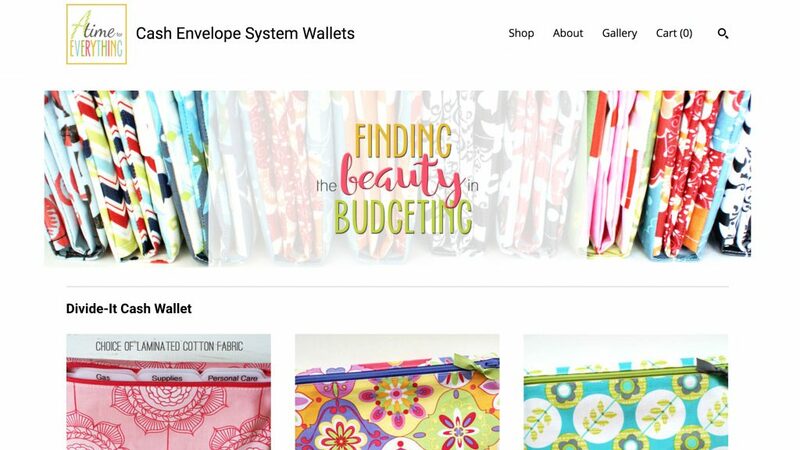 Find the beauty in budgeting with this handmade, laminated, cotton envelope system wallet that’s lovely, durable, and will last for years. 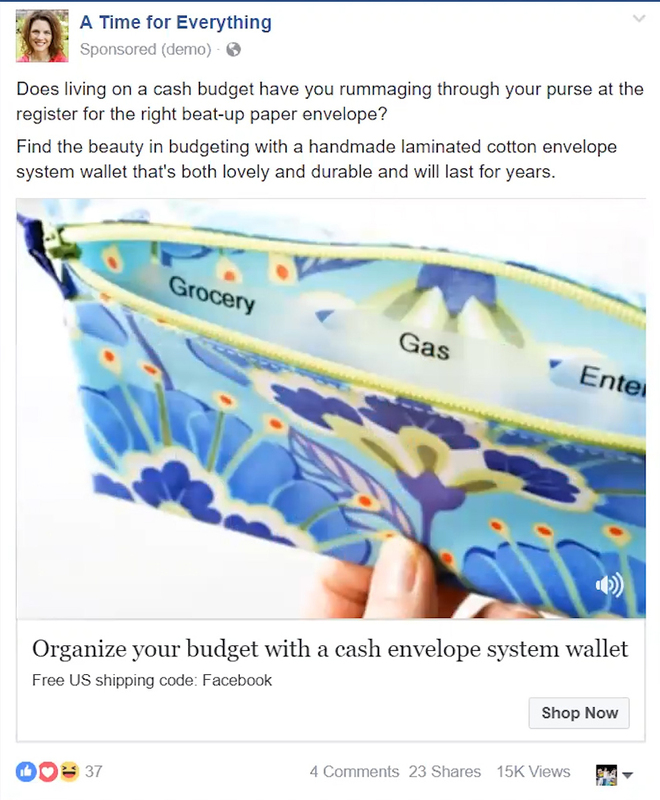 Headline: Organize your budget with a cash envelope system wallet. 9:38 – What Program did Melissa Use to Make a Video Ad? Melissa just used the native slideshow creator within Power Editor. That’s how easy it is to make an ad! Have fabulous product photos, upload them to Facebook, and let them do the heavy lifting for you. 10:08 – What Sales can she Attribute to her Ad? The only time she ever tried to figure a sales percent increase was from her ad campaign from last August. 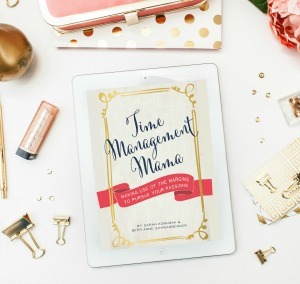 During that time period, she saw a 63% increase in sales from the same time frame a year prior. Summer can be pretty slow for Etsy shops unless the shop is seasonally focused. What a great strategy to run ads to create sales during a slow time! The ad ran for just 5 days and had tremendous success. Moody Sisters Skincare also used ads to overcome their summer slump, resulting in their best month ever! To go from a very slow month to the best is pretty cool! You really can get started at $5 a day. I know these questions are a bit theoretical, but I love asking them! 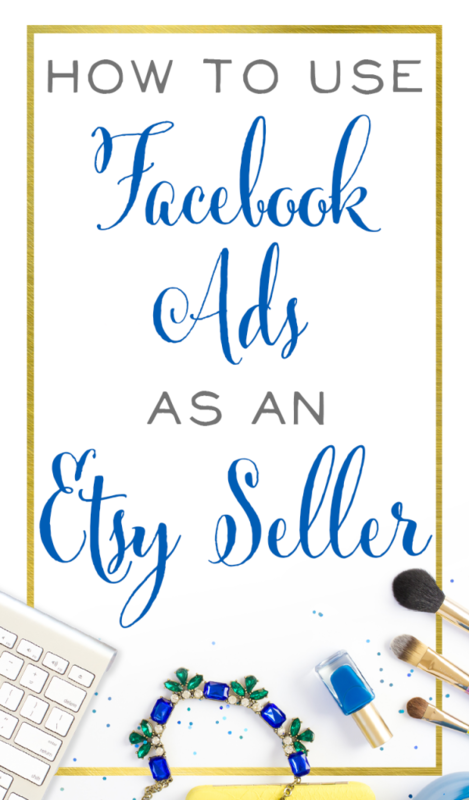 Even if you can’t use the Facebook pixel on Etsy, you can still do some detective work and see how it’s helping your shop. Especially if you're getting affordable clicks like Melissa! Melissa compared the difference in sales from the same time period in previous years. That’s where she came up with that 63% increase we mentioned earlier. Her return on investment was 5 times what she spent on ads, which was $50. And, half of her ad spend was on the organizing interest audiences that weren’t as effective. The other half was her highly effective lookalike audience. Because this particular ad was so effective, Melissa has kept the same ad running and changed the copy a bit as needed. For example, at Christmas, she might mention how her wallets are a great gift. She also changed her coupon to be more versatile and simple. Melissa now uses the same ad and ad set repeatedly and just runs it when she wants some more affordable traffic with targeted potential customers. Can you see why ads are so fun!? Melissa has received some criticism for not spending money on promoted listings on Etsy. In general, her Etsy relevancy has always been pretty good and she shows up well in search. For Melissa, why would she spend all her ad budget to get people already on Etsy to her shop? It’s more worthwhile to find people who haven’t gotten there yet and send them over. I want to mention Pattern, Etsy’s new selling platform, and the Facebook pixel. Melissa has the scoop! She recently started a free trial of Pattern. Someone who can’t manage inventory or shipping for more than one shop would probably enjoy Pattern. You can send people to a domain without the distraction of Etsy. It’s your own space, in a way, but still connected to Etsy. Everything from inventory to orders to shipping is managed in one spot. As of this recording, it's possible to install the Facebook pixel on Pattern. You can’t include a standard event code to track purchase values, but you can use your Pixel ID code to track your shop visitors. Pattern also allows for Google Analytics tracking, which is a huge advantage! If you have a Pattern shop, you could send people there directly and not to Etsy through a redirect, giving you a clearer picture of what’s happening. Plus, you can get back in front of those who haven’t bought yet with retargeting ads! One final note here, after our chat Melissa and I did some additional testing with Pattern. The checkout thank you page is on your own Pattern shop, which means you can use a Custom Conversion inside Facebook in order to track your sales! 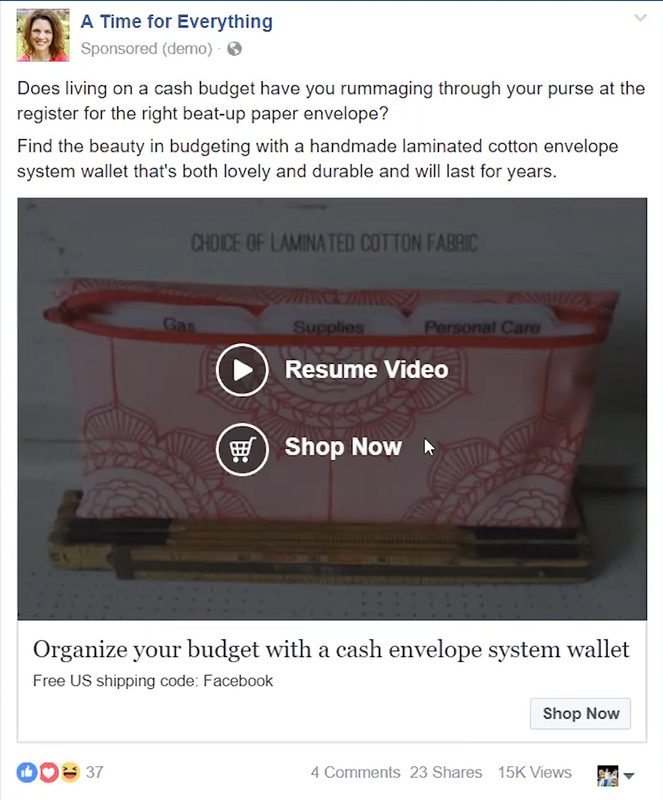 Again, you can't capture the dollar amount of those sales, but you can now directly tell whether someone has made a purchase based on a Facebook or Instagram ad that they saw for your shop. Melissa is our go-to Etsy Expert! We had to get her take on what’s new at Etsy. Through all the testing, Melissa’s best advice is to be patient and hang in there. Don’t panic and don’t go changing a bunch of things. Often Melissa says she’ll see something tested and then hear people making definitive statements about a change Etsy made. Don’t panic over theories! Keep doing what you're doing that’s working well. Sometimes you can make small changes, but don’t stress about them. For instance, Attributes is a new factor Etsy added that affects relevancy. This feature is actively being tested and constantly changes. They haven’t made any permanent changes, but you can choose attributes that might naturally fit the listing. Don’t stress! This is exactly the kind of stuff she addresses in her Etsy + 1 show… it’s on Thursdays at noon Pacific. 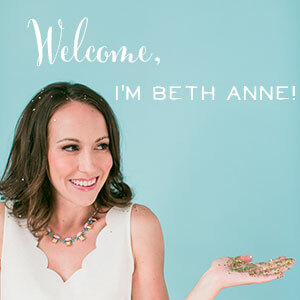 She addresses Etsy changes, her thoughts about it, and practical applications. Like Makery Space on Facebook to catch the show. Right before recording, Melissa had a funny moment! Turns out that one of her teenagers with YouTube ambitions had swiped her recording equipment, and Melissa was scrambling to find the pieces before our interview! I'm a big dreamer, mom to the most amazing, fun boys and...an occasional nitpicker! A little secret...I don't think I'm particularly brilliant. I've just been given the opportunity to interview some brilliant business moms. 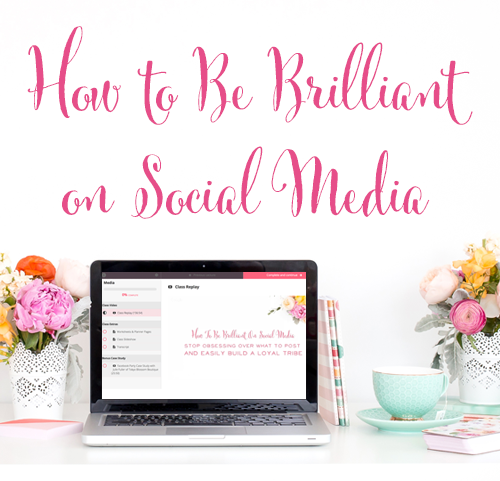 Join me as I discover how to be brilliant in business too!